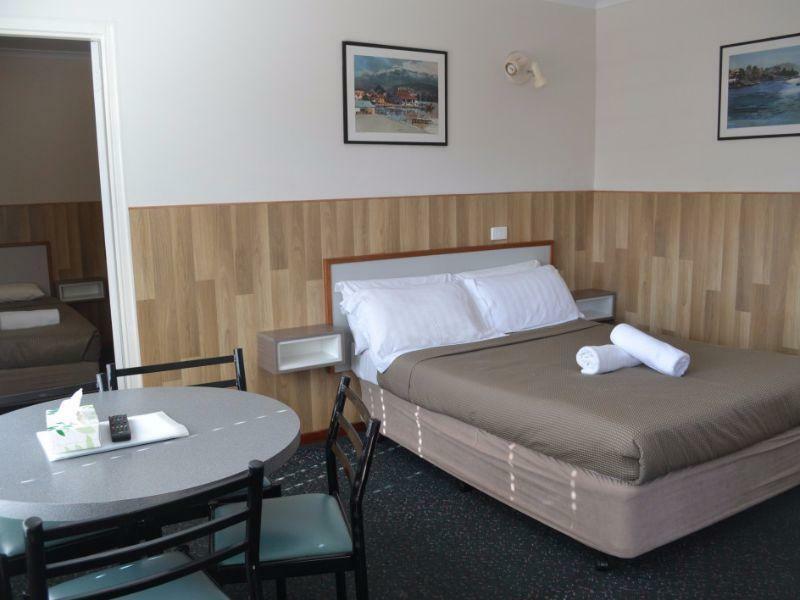 يشكل Hobart Tower Motel بموقعه الممتاز في هوبارت نقطة انطلاق جيدة لاستكشاف هذه المدينة النابضة بالحياة. إن موقع الفندق الاستراتيجي، الذي يبعد فقط عن مركز المدينة، يسمح للنزلاء بالوصول سريعاً وبسهولة إلى العديد من الوجهات المحلية المثيرة. يوفر الفندق بفضل موقعة الجيد وصولاً سهلاً إلى أهم معالم المدينة.
. يقدم Hobart Tower Motel خدمات لا غبار عليها وكل أشكال اللياقة وحسن الضيافة اللازمة لإسعاد ضيوفه. يقدم الفندق فرصة للاستمتاع بشريحة واسعة من الخدمات بما فيها: تخزين الأمتعة, واي فاي في المناطق العامة, صف السيارات, خدمة الغرف, التوصيل من وإلى المطار . في الفندق غرف نوم يتجاوز عددها 50، كلها مجهزة بعناية وجمال وبعضها مزود بـ مناشف, شاي مجاني, رف للملابس, مرحاض إضافي, قهوة فورية مجانية. كما أن مجموعة الخدمات الواسعة الموجودة في الفندق لضمان راحتك تترك لك الكثير من الخيارات لقضاء وقتك أثناء فترة إقامتك. مهما كانت أسبابك لزيارة هوبارت، فإن Hobart Tower Motel هو الخيار الأفضل لإقامة مثيرة وممتعة. Very clean and comfortable. Shower could do with update though, and maybe a clean of the fan and window in shower. Wonderful stay here with my daughter. Unfortunately we only booked 1 night-should have stayed longer! Very clean, receptionist kind and considerate and we will definitely be back. Rooms only designed for visitors of small stature. Reception staff were Asian with limited English language skills. Room had very small bathroom sink....could not fill jug with water, nor use face washer without slopping water everywhere. Shower was unclean....human hair on the walls and the shower stick was in a fixed position facing the wall, so could not have a shower. Water was either very hot or very cold with no method of getting water at a 'reasonable temperature'. Felt that the owners of this motel were only interested in catering for visitors from Asian countries. No power for 3 times, internet is very slow. Sometimes hot water didn't work. Refurbished but, dirty shower, wall by tea making equipment was filthy, cup's were filthy due to stains, a microwave provided but NO plates or cutlery etc. Nothing to wash the cup's up with. The motel is also very noisy at night with the highway. This is the last time we will ever stay in this motel, not worth the money. Nice and quiet, although not in walking distance to shops, I like staying there. Space and good and clean home. Also receptionist Chinese lady was very friendly. Managed to allow me book in a bit earlier than normal time. Cost is reasonable and was cheaper than others at the time of booking. 1. Daily cleaning staff were good.... friendly. Opportunities for improvement: 1. You may consider improving your directional signage to easily locate the reserved room especially for guest arriving late in the evening. 2. For couple, you may consider giving 2 sets of keys. The couple may not always be together when going in and out of the rooms.... especially for guests staying for few days. 3. Consider providing dish washing liquid & sponge inside the room especially for guests staying for few days as they would most likely have at least coffee or tea during their stay even if they eat. Thanks. This is truly a budget motel with friendly staff. They are, it appears, refurbishing the rooms at present and it is starting to look better than the tired worn out previous model. 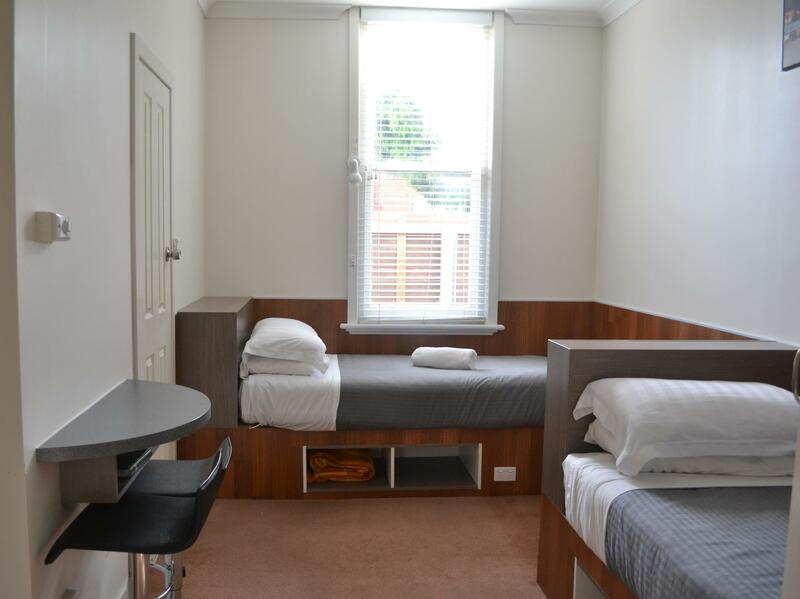 I don't mind it for a night or two and it is realistically priced, most Hobart accommodation is well overpriced for what you get. Should they keep their prices low this is a suitable place o stay for a night or two, rooms are NOT very big, but, one is only in the room to sleep! This isn't a four or five-star hotel but you're not paying four or five-star hotel prices either. It was clean, quiet, the beds were comfortable and the minimalist facilities were all that we required. I have no problems in recommending this hotel. Fridge full of mould. Bathroom window doesn't close. The staff was helpful. However the toilet windows were permernant open, and could not be closed. And during the freezing winter, I had to tolerate the cold. The water pressure was also really bad, barely any hot water. The smell of paint was very strong, and i felt i was choking throughout the stay.